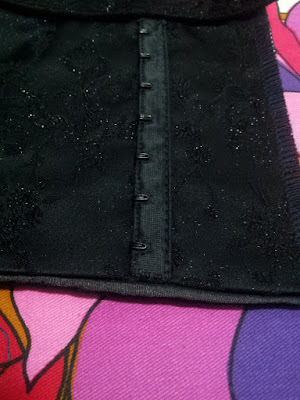 Okay so now I've finished all the sewing on the bodice and now all that's left are the final touches of beading etc. 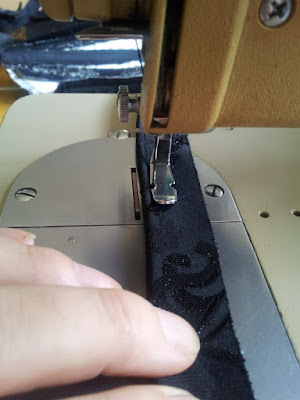 I always make my own piping as that way I can control the width and get exactly what I want. 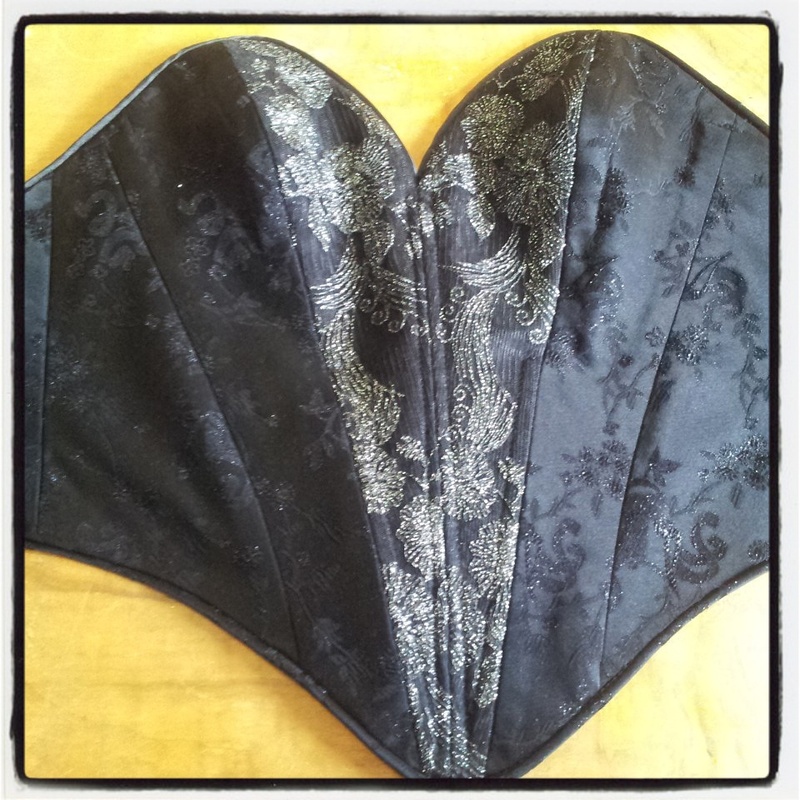 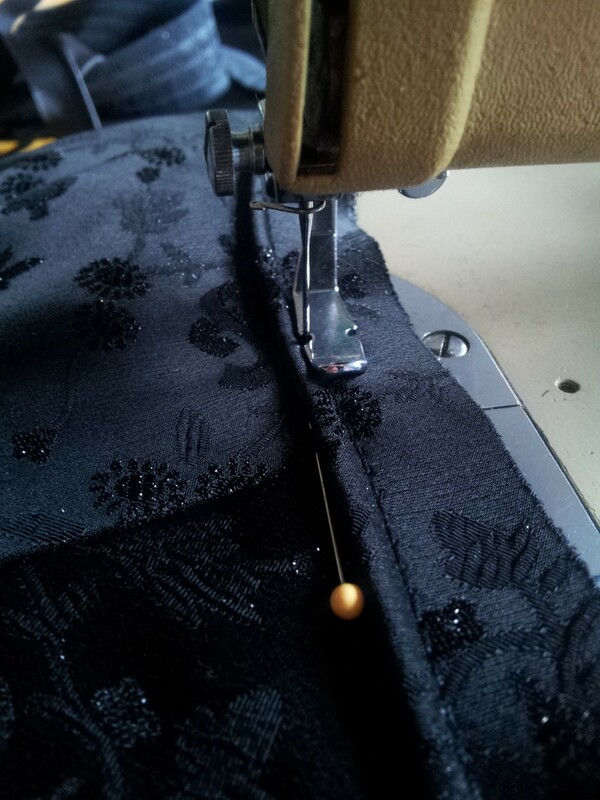 I used piping in the same fabric as the bodice for the waist but on the top edge, I used plain satin. I did this because this fabric is a bit scratchy so would be very uncomfortable for the dancer. 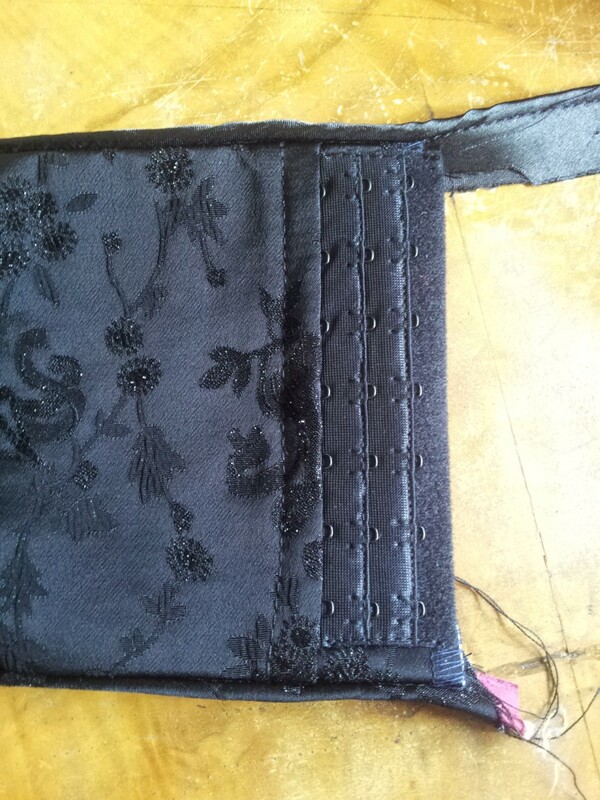 The top edge will be covered with trim anyway so you won't see it. Hook and eye tape on. All the hand stitching is now done and all it needs now is a final fitting to check the piping before finishing the neckline.